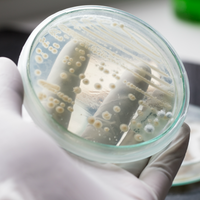 Researchers succeed in magnetizing yeast cells, providing insight into how magnetism could be genetically induced in other organisms. Yeast cells aren’t normally magnetic, but a little genetic engineering can make them thralls to a magnetic field. 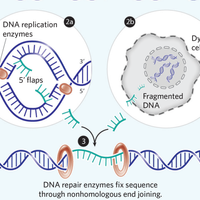 The research, published today (February 28) in PLoS Biology, suggests that manipulations of a few widely expressed genes could be enough to get any cell magnetized, which could be a powerful tool for both research and medicine. “It’s a very interesting study,” said Xiaoping Hu, a biomedical engineer who investigates the potential for magnetizing mammalian cells as a possible marker for MRI detection at Emory University in Atlanta. Hu, who did not participate in the study, added that this work appears to be the first attempt to magnetize yeast, and may “give guidance” to others working to induce magnetism in eukaryotic cells. 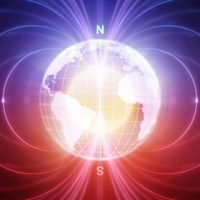 Though some bacteria create magnetic nanoparticles and animals such as homing pigeons use magnetic fields to navigate, biomagnetism is a rare phenomenon. Magnetotactic bacteria create special membrane-bound organelles that concentrate magnetic iron minerals. 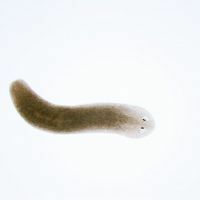 Yeast usually shunt excess iron into vacuoles, where it’s kept in a non-magnetic state, explained synthetic biologist Pamela Silver, whose postdoc Keiji Nishida performed the work. One focus of Silver’s research is the creation of new properties in cells, with the potential for “programmable behavior,” she said. Magnetism is an under-exploited property, and Nishida hoped that working out the underlying pathways of cell magnetism in yeast could be a stepping stone to making any cell into a magnet. Nishida’s first step was to knockout the iron transport protein Ccclp1, yielding mutated yeast that couldn’t sequester iron into vacuoles. Nishida then added a gene for human ferritin, an iron storage protein. “Ferritin piles a lot of iron into cells, and it functions in lots of organisms,” said Caroline Philpott, who studies iron transport pathways at the National Institute of Diabetes and Digestive and Kidney Diseases in Bethesda, Maryland, and was not involved in the research. Ablating the yeast’s iron detox pathway and juicing its iron storage was enough to induce mild magnetism in yeast grown in a solution containing the iron-based compound ferric citrate: the cells started showing attraction to magnets more than 250 times the strength of an average refrigerator magnet. Electron micrographs of magnetized yeast showed dense electron deposits in mitochondria. Yeast can use mitochondria to generate energy from the citric acid cycle, which uses several iron-dependent proteins. 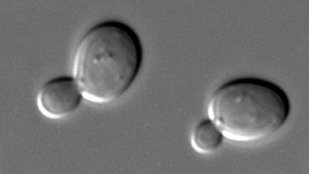 Nishida and Silver also hoped to understand what, if any, ordinary pathways in yeast could contribute to magnetism. After screening knockouts for changes in magnetic properties, they identified Tco89p, a non-essential component of TORC1 (target of rapamycin complex 1), which regulates cell growth in response to environmental changes like alterations in redox state, stress, and nutrients. Cells missing Tco89p showed reductions in magnetism, while transfecting yeast cells with plasmids containing multiple copies of TCO89 were more magnetic. Tco89 appears to be working by altering the redox state of the yeast cells, but the details of those alterations remain unclear. Working out the mechanism of the induced yeast magnetism could provide synthetic biologists with a new tool. “I’m interested in building cells that respond to certain types of input, and now we have a new kind of input,” said Silver. Magnetism also has other basic research applications, including producing bio-compatible magnetic nanoparticles, which are studied as possible drug delivery systems, Hu said. Magnetism may also serve as a new technique for separating cells of a population. Indeed, Nishida showed that the magnetic yeast can be trapped in a magnetic column. In addition, magnetism may have therapeutic applications, as demonstrated by Hu’s work. By delivering magnetism to certain cell types, like cancer cells, researchers could tracked the cells in the body using MRI, Hu explained. This technique could also theoretically be a step in an anticancer therapy: applying alternating current magnetic fields to cells containing magnetic particles transfers magnetic energy in the form of heat, selectively killing just the particle-containing cells. “It will be difficult to bring magnetism to humans or live animals, but this is a good first step,” said Hu. K. Nishida and P.A. Silver, “Induction of Biogenic Magnetization and Redox Control by a Component of the Target of Rapamycin Complex 1 Signaling Pathway,” PLoS Biology, doi:10.1371/journal.pbio.1001269, 2012.